Should you decide to begin marketing on YouTube, you need to know more about YouTube Marketing Strategy. This platform has around 50 million content creators churning out video contents regularly, where your own content has to stand out. Reaching out and engaging your core audience is another challenge. 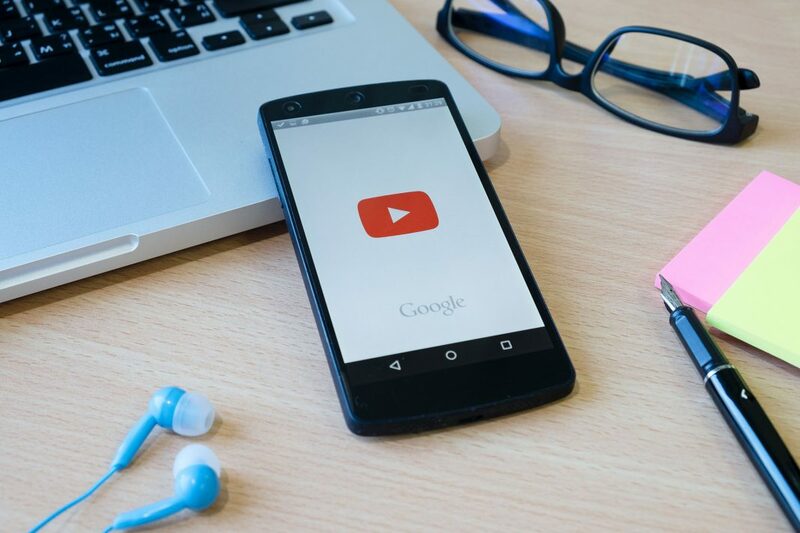 Most of YouTube viewers aren’t necessarily fans of advertising, therefore you will need to think carefully about how you’re going to raise awareness about your brand while keeping viewers entertained. Create a Brand Account on Google before you do anything. Once you create your YouTube channel, only one person as the Google Account holder can log into that channel. Once your YouTube channel is created using a Brand Account, multiple authorized Google Accounts can manage it simultaneously. You can read our post about creating a YouTube Channel to know more about it. You can access the Analytics tab which contains a lot of stats related to your channel from your YouTube channel for business. Look to the Analytics tab for quantitative insights on your channel and your viewers’ behavior, including your view, counts, revenues generated, average watch time, and interaction rate across videos. There are some valuable data on your subscriber demographics in the Analytics tab. Pay attention to what you find under the Demographics tab even if you think you know who your subscribers are. This information will allow you to move beyond assumptions and feel confident that you’re reaching the right viewers. Where and when are your videos being viewed? What gender do your audience most commonly identify as? Tracking viewers’ analytics is a win-win. you’re now certain you’re reaching the right audience If your assumptions about your subscribers are confirmed. Adjust your content strategy to reach the audience you want, if your assumptions were incorrect. On the other hand, you may understand that your product is resonating with an unexpected demographic valuable detail for your entire marketing team. By the look on quantitative metrics, you can also get qualitative information (the whys and the hows) about your viewer by reading and managing the comments on your videos. The comments on your YouTube Channel isn’t always fun, but the data you gain here will be invaluable for advising different aspects of your marketing strategy, both on and off YouTube. if you want to pull ahead of other businesses in your niche on YouTube, Competitive analysis is essential. Fortunately, tons of the data you need to identify potential opportunities is readily available on their channels. Go to your competitors’ YouTube channels and research about which videos got the most and least views. Watch these video contents get a sense of what kinds of videos your viewers like to watch and what they don’t, therefore use that to inform your own content strategy. As with your own videos, on competing, videos read the comments. Maybe your own business has received a mention; if so, make sure to answer so potential viewers can see you’re actively engaging with your community. To see what keywords they’re using in their YouTube search optimization read competing video descriptions. If you want to boost your ranking in YouTube’s search pages and recommended video feeds use similar ones. it’s possible to block your competitors in Google’s ad manager if they serving ads on your videos. What about this video gain my attention? What keeps me coming back to my channels? You will know more about the techniques and best practices your favorite YouTubers follow to drive views, subscriptions, and engagement by paying attention to them. it’s possible that you can adapt your favorite YouTubers’ strategies to improve your own YouTube following even if they’re not technically within your business niche. it’s also you must know that YouTube is an incredible resource for self-starting learners. There are a lot of YouTube channels that will tell you how to be a good marketer, no guesswork required. if you want to get the most value out of them, Your YouTube videos need to be optimized for search. But don’t worry you can learn how to do this in our article about that. it’s time to put them into the rotation when you’ve created a few optimized videos, so you need to know the best way to schedule your YouTube videos. You should run your channel like a TV station because many of your subscribers will treat your YouTube channel like one. Share content on a regular schedule as a professional. You will lose your audience trust when you promise your subscribers they’re getting a new video every Saturday at noon eastern but you don’t have to upload that. Make sure you’ve got several “episodes” of content ready to schedule ahead of time like TV studios strategy. from the Creator Studio, You can upload and schedule your YouTube videos in advance, which helps you to cross-promote your video releases with posts on other social platforms channel all from the same dashboard. You’ll need to optimize your YouTube channel itself once you’ve optimized your videos. you’ll be able to bring in more views, and more importantly, convert those views into regular subscribers by providing a consistent experience across your channel. if you’ve got the funds, you can also pay for YouTube advertising because your YouTube channel isn’t the only place people can see your content. The key is to generate relevant, engaging content that makes viewers forget they’re watching an ad with YouTube advertising. Working with an influencer is one of the best ways to showcase your products on YouTube. Around 60 percent of YouTube subscribers trust the opinions of their favorite influencers According to Google. For Instance, just look at Warby Parker, grew their brand significantly with YouTube and Instagram influencers. They are now worth $2 billion. Once you’ve created your YouTube channel, you’re uploading content regularly, and forging partnerships with other creators and influencers in your field but you’re not done yet. Constant monitoring is a key point to maintaining and growing your YouTube channel. Important Note: read the comments to learn exactly what your audience thinks of videos and this is the best way. You even understand concrete suggestions about which video you should make for the future.